Do DC REALLY have the better villains? Marvel Comics have been at the top of the comic book world as of late, but this wasn't always the case. For years, DC Comics were THE brand when it came to superheroes - they even led in things like comic book related television shows and movies. While the superheroes for both brands were relatively well known, the assumption was that DC had all the best villains while the House of Ideas only had the occasional couple. This wasn't really true, as one can make a very clear case for the major villains found in the pages of Marvel Comics to be among the best in the medium. 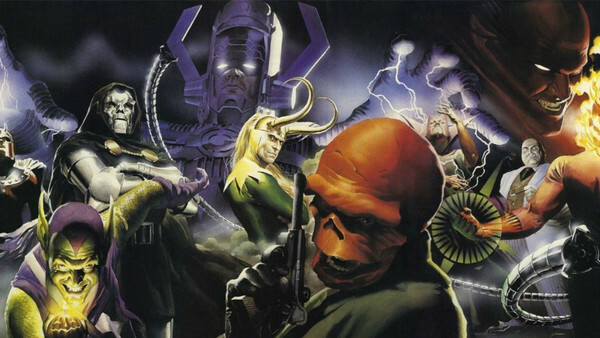 Lately, we’re seeing a lot of these villains come out in force in the Marvel Cinematic Universe. However, most have been around for decades, some of whom even date back to the 1950s and 60s. Due to this, the Marvel rogues galleries are absolutely on par with that of DC. This means some of the best heroes in the Marvel Universe have stellar villains in their respective comics, but out of those heroes, who has the best selection? Joe Burgett hasn&apos;t written a bio just yet, but if they had... it would appear here.